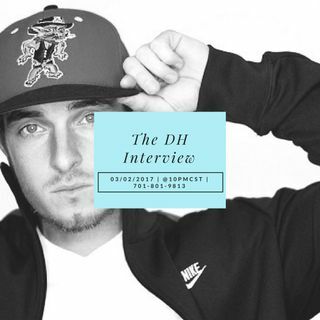 A lawyer turned rapper, DH aka Dan Hanecak, stops by to chat with Dini Mussolini about his new single, "Tiger (Do The Putt Putt)" whether he voted or not & other cool insights & gems about his music. Set your reminders, it's happening! 03/02/2017 | @10PM Central Standard Time | Call in at 701-801-9813 | or hop in the mix via browser by visiting www.onlyonemediagroup.com/vigilantesradio and slapping that "Go Live" button. Please follow our show ... See More at www.spreaker.com/onlyonemediagroup & remember sharing is caring! Thanks for your continuous support!